The enamel of your teeth is one of the strongest things in your body. It protects your teeth from chewing, biting, grinding, and normal wear and tear. It also minimizes the effect of the temperature on your teeth from the things that you consume that may be hot and cold. Tooth enamel also fights against the bacteria, chemical, and acids that come from consuming foods and beverages. When enamel starts to wear down, you may become more aware of the hot and cold foods and drinks that you consume. It may become painful or even start to create cavities, or black spots, in the center or outside surfaces of your teeth. • Consuming too Much Sugar - Consuming sugar increases the amount of bad bacteria that can be found in the mouth. This bacteria creates acids that gradually eat away at a tooth's enamel. The only way to avoid this is to brush and floss regularly. • Consuming too Many Acidic Foods - Although everyone loves a sour candy or lemon juice from time to time, these things have a high acidic concentration level. Like sugar, the acid from the bacteria causes the enamel to wear down and leads to other dental issues. • Lessened Saliva Flow or Dry Mouth - When a person has dry mouth their saliva flow is minimized. This can cause an increase in bacteria in the mouth after eating or drinking. This increase of bacteria can then lead to tooth enamel erosion. • Control Heartburn, GERD, or Acid Reflux if You Have It - These conditions can cause the stomach acid to come back up from the stomach and into the mouth. Like other acid resources, it can then cause the tooth enamel to erode. Other things that can also lead to stomach acid rising include Bulimia, binge drinking or eating, and alcoholism. • Grinding, Clenching, or Brushing Your Teeth too Hard - Many people grind their teeth in their sleep, while others may clench their teeth when they are thinking. This should be avoided if possible. 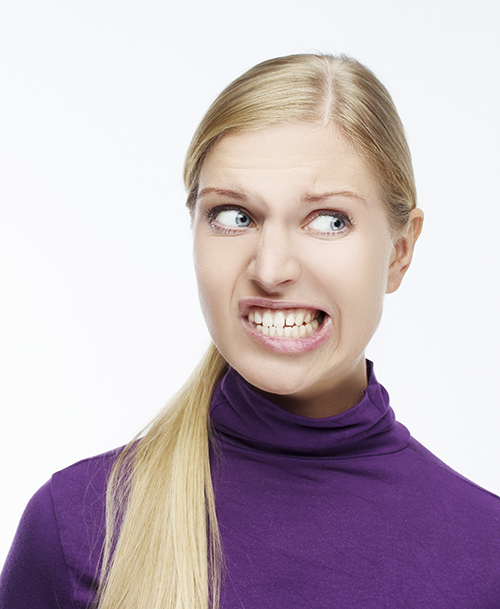 Brushing your teeth too hard could cause the enamel to erode, leaving the nerves open. This can become very painful if not caught. The enamel becomes a vital part of our everyday lives, because once it is gone, the pain from eating and drinking sets in and life becomes disrupted. Weak enamel will show up in a person's mouth. Sometimes it is noticeable and sometimes you have to be staring at that person to notice it. • Chipping or broken teeth, they may not be suffering from erosion, but over time they are at a very high risk. The chances of suffering from enamel erosion are still present in people who show none of these symptoms. These symptoms will persist until they are handled by the hands of a professional. If you or a loved one is experiencing any of the above symptoms, please contact our offices today at (315) 766-2770 to speak a professional regarding your situation.